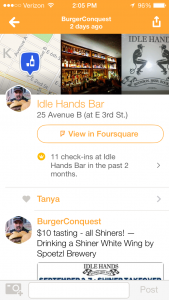 What’s up with the new Foursquare and what is Swarm? If you’re like me (and just about anyone else who doesn’t work at Foursquare), you’ve probably had or have this question. If you’re really like me, you also want to know what happened to badges and why can’t you be the Mayor of a location anymore. 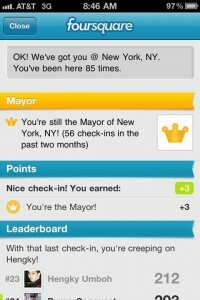 For some of us, badge hunting and Mayorships were what made the game of Foursquare pretty fun. 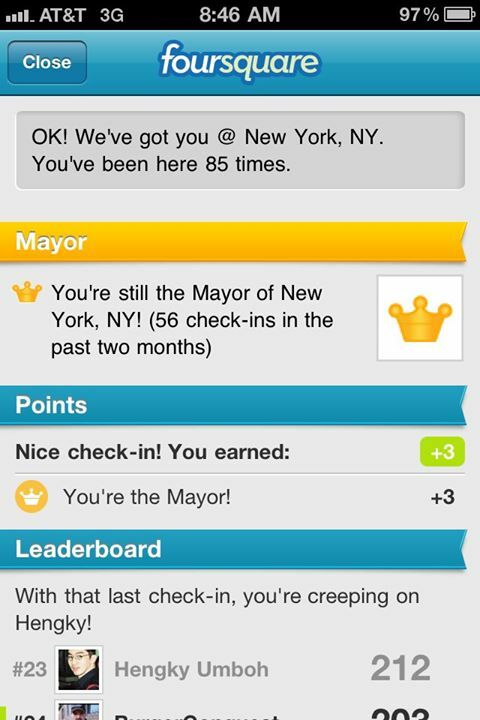 At one point I was the Mayor of NYC and those are some pretty big bragging rights as far as the social web goes. 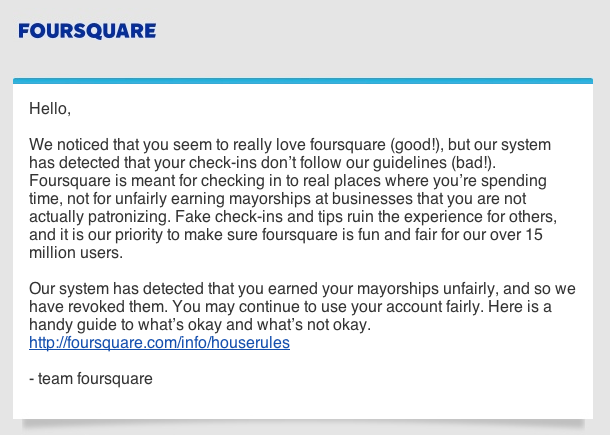 I liked badge hunting and Mayorships so much that it once got me banned from earning them. 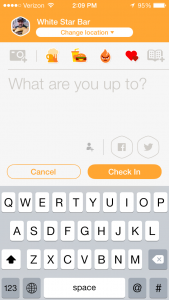 Foursquare recently took checking in and finding your friends and broke it off into a new app called Swarm. 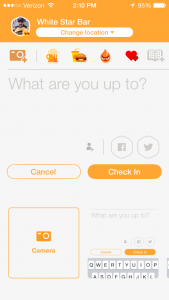 Swarm works just like Foursquare used to in terms of checking into places, seeing where your friends are located but has removed badges. 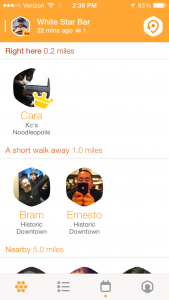 There are still Mayorships but they work differently. Now a location can have multiple mayors based on your own friends network. 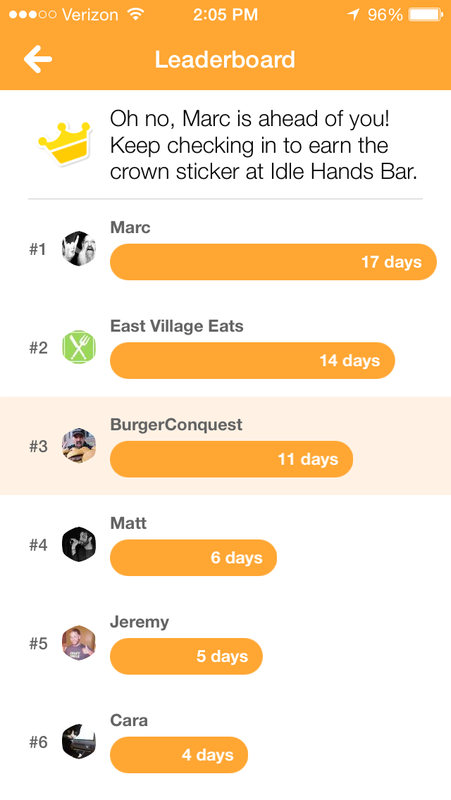 If you are the person amongst your friends on Foursquare who has checked into a location more than anyone else, you will receive a crown. Once you have that crown, you can add it to check-ins in the app. When your friends see you in their feed, they will see the little crown on your check-in and be instantly aware of your boss status. Badges work much in the same way now. You don’t earn them by playing a check-in game and unlocking them, they appear when you go to make your post. They are based on the type of location you are checking into. 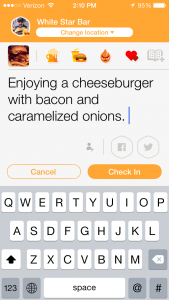 You can then add them to your check ins. See the little Burger icon to the lower right my profile pick below? 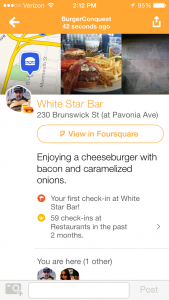 Here’s a step by step “how to become the Mayor and use badges in Swarm app” instruction using photos of a Burger I recently ate at the White Star Bar in Jersey City, NJ. White Star Cheese Burger – 8 oz. 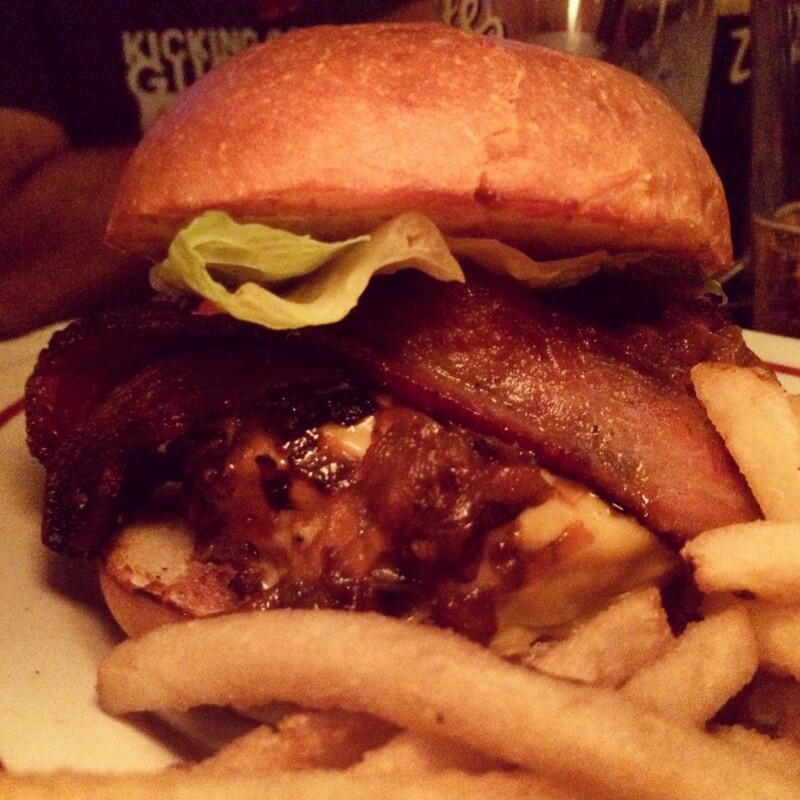 Pat La Frieda burger, Balthazar bun, American cheese, Thick Cut Bacon and Caramelized Onions with a side of Fries. 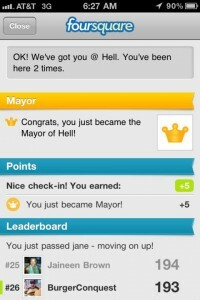 First off, you’ll need to find out how close you are to becoming the Mayor amongst your friends. 1. 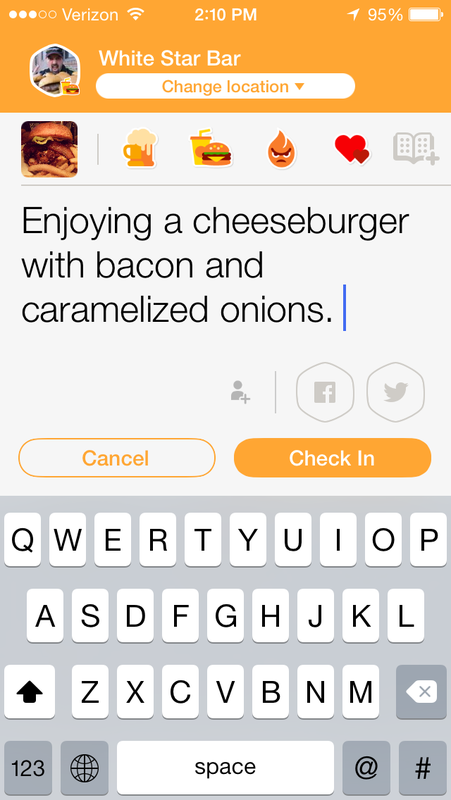 Search for the location you are looking to become the Mayor of in Swarm. 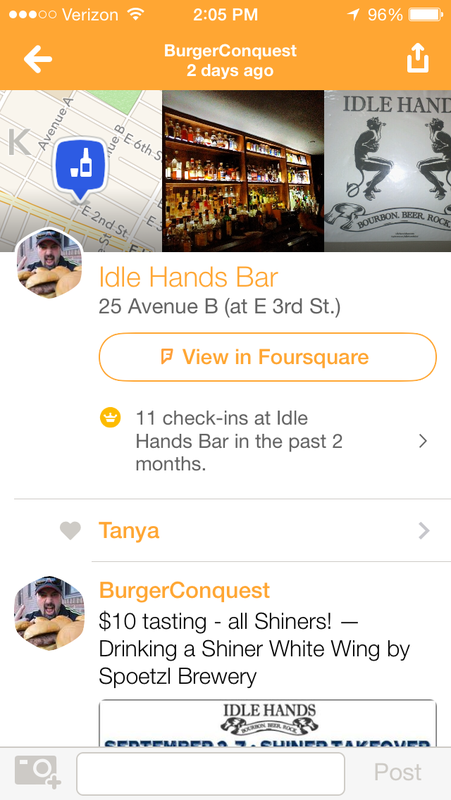 In this example, we’ll use Idle Hands Bar in NYC since I am one of the owners. 2. Just below where it says “view in Foursquare,” you’ll see how many check-ins you have in that location. Tap the arrow on the right side. You’ll be taken to a screen that shows you the Leaderboard. 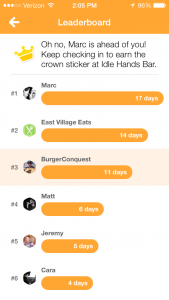 Looks like I have 6 more check-ins to do to beat Marc, which will be pretty hard to do since he is also one of the owners. Jay from East Village Eats, I am coming for you. 3. Check-in, check-in, check-in but remember, only one check-in per day counts towards your Leaderboard count. 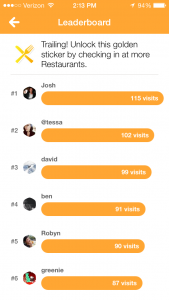 If you’re not in the top contenders list, Swarm will show you where you rank against your friends in that category. See below when I checked into White Star Bar in Jersey City for the first time. 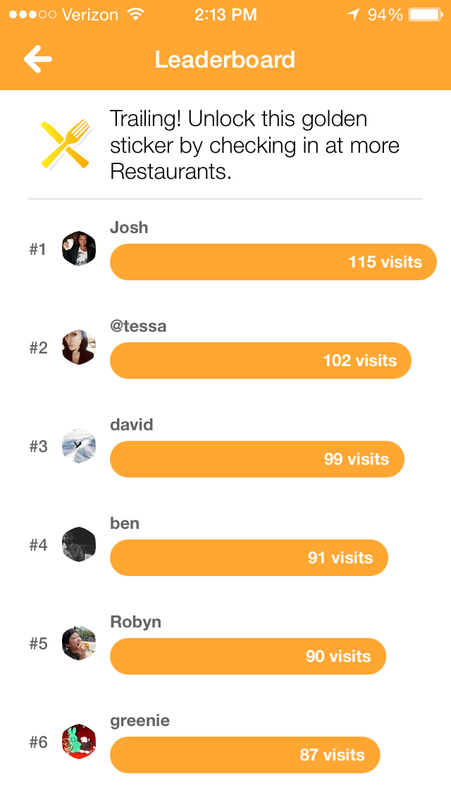 It showed me that I need to catch up with Josh the Foodie Magician if I want to be the top with check-ins at restaurants. 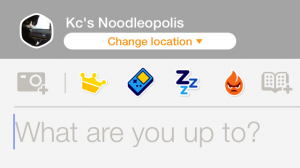 If you want to add a badge or your newly found Mayor crown to your check-in, follow along. 1. 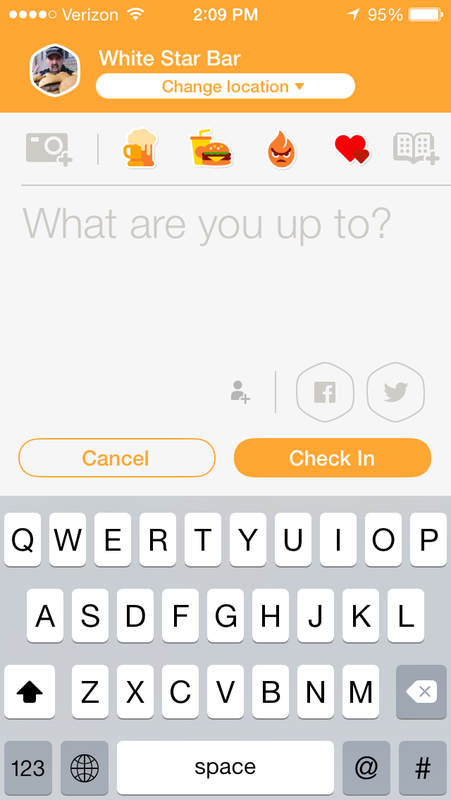 Click on the location you want to check-in to on Swarm. Along the top you will see the badges. 2. In this example, I was checking into White Star and eating a Burger, so I wanted to use the Burger badge. Tap on the icon you want and it will be added to your profile picture. 3. If you want to add text or a photo to you check-in, add them below the badges and then tap “Check In.” You can also share your post to Facebook and Twitter from this screen. 4. 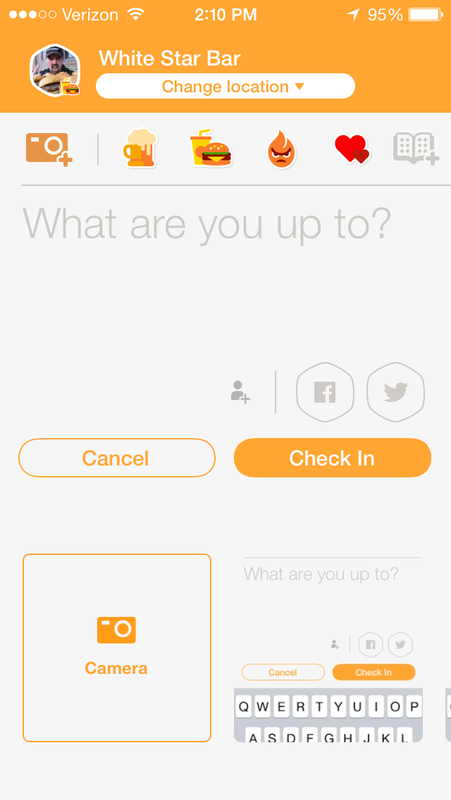 The badge, text and photo will appear along with your check-in. Now everyone knows that I went to White Star Bar and ate a Burger. Probably not much surprise in that. 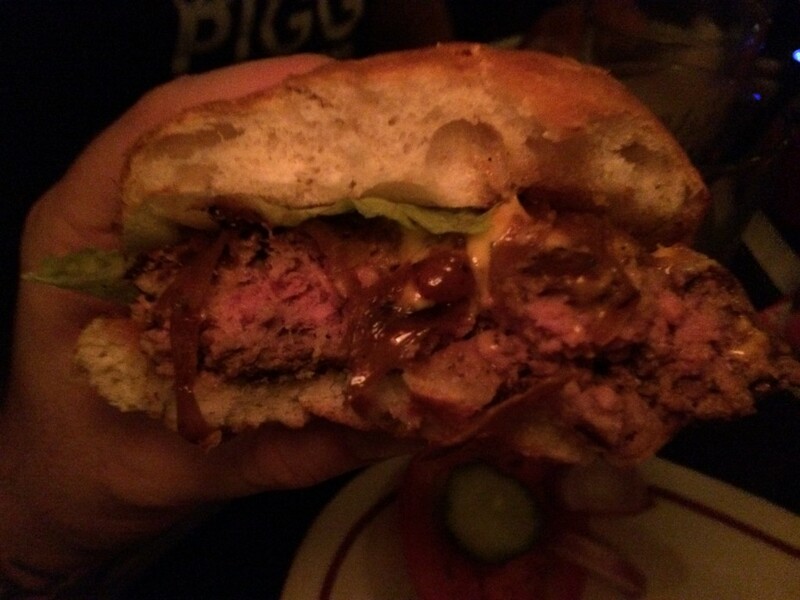 Know of a good Burger in Jersey City or anywhere in NJ for that matter, that you would recommend? Go here and tell me. This entry was posted in Bar, Burgers, Gourmet Burgers, Hamburgers, New Jersey, Social Media and tagged app, badges, bar, best burger, burger blog, burger club, burger conquest, check in, cheese, ciancio, david, foursquare, french fries, gourmet burger, great burger, hamburger, how to, jersey city, mayor, new jersey, restaurant, rev, review, swarm, white star bar. Bookmark the permalink.